Finding Harmony, #3 in the Katie & Annalise mystery series, released! 16 five-star reviews on Amazon on day one! Finding Harmony takes you on a high stakes race through the islands with suspense, a little voodoo, and lots of laughs. ** Leaving Annalise hits bestseller rankings on Amazon for the first time! => #1, Saving Grace, reached bestseller status in mystery and suspense on Amazon, Barnes and Noble, and Apple. 100th five-star review posted on Amazon! Katie’s already on edge when a dead guy shows up at Annalise and shady locals claim there are slave remains in the foundation, but when Nick doesn’t come home to her and the kids, she’s ready to lose it. A frantic Katie launches a Caribbean-wide manhunt, calling on Kurt, her stoic, steady father-in-law, and Collin, her badass big brother, to help her search air, land, and sea for her husband, who may be in very big trouble indeed. The series reviews are in, and they’re good. Very, very good. Read all Finding Harmony reviews HERE. Pick up a paperback at any brick and mortar bookstore and many libraries — if they don’t have it in stock, ask them to order it from Ingram for you. Want a signed copy? Get those at SkipJack Publishing. Paperbacks are also available online, everywhere. So are ebooks, in all formats. Download audiobooks on Audible, Amazon, and iTunes. For all sales links, visit Pamela’s website. 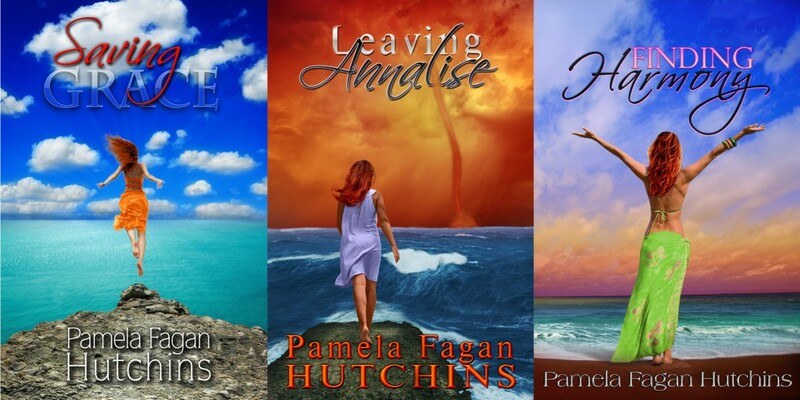 To catch media, reviews, and giveaways, follow Pamela’s blog. Reviews online and recommendations to your friends are appreciated more than you will ever know. Here’s the reward for reading until the end: The first 15 people to reply to this message with a commitment to post an honest review on Audible, Amazon, and iTunes get the $19.95 Audible download of the Finding Harmony audiobook, FREE. Catch Pamela at one of her upcoming events or appearances, like the February 22 Houston Author Bash (free admission) and Book Signing, where she is one of the headliners and a featured panel author. And one last announcement: What Kind of Loser Indie Publishes, and How Can I Be One, Too?, released August 2013, won a surprising and somewhat ironic 2013 USA Best Book Award in Business: Publishing.